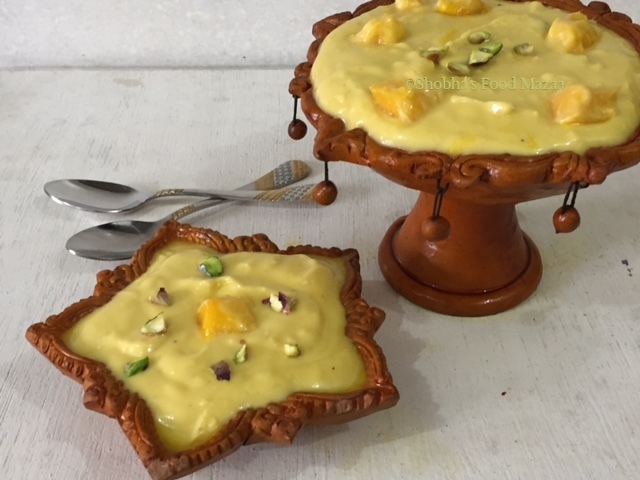 Amarkhand is a variation of Shrikhand which is a traditional dessert from the states of Gujarat and Maharashtra. It is made from hung yogurt, powdered sugar and flavoured with saffron and powdered cardamoms and mango pulp. To get a nice and thick consistency it is better to make hung curd and pulp at home as the store bought pulp is thinner. While making amrakhand, the addition of saffron and cardamom is optional. 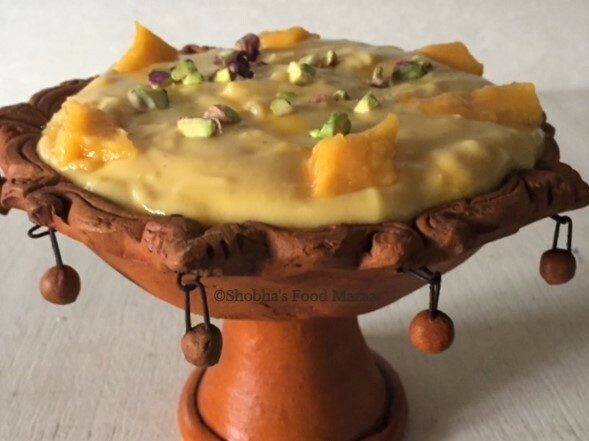 You can even add some dry fruits and fresh mango pieces if you like. Mango pieces ..... for garnishing. 4. Now add the mango pulp and whisk it until well blended. 5. Spoon it into the serving bowl and garnish with sliced pistachios and mango pieces. Wow, this looks delicious. I've never tried this before! 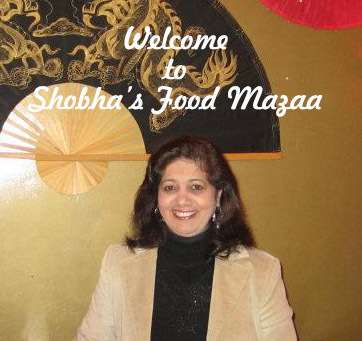 You must try it Shazia.. it tastes so nice and creamy. Love amrakhand, its my favourite way to eat shrikhand, and making it at home is a joy that has to be experienced! Well this is something I have never heard of before. Would love to try it sometime. Heidi this dessert tastes somewhat like cheesecake with mango flavour, Do try it. Thanks.